We all know – these days hair is an important part of one’s personality and can easily contribute as a confidence booster to its wearer. But when residing or traveling to winter prone towns or countries extra hair care is required to your virgin human hair lace wigs and human hair bundles. It’s highly recommended to take extra care of your Virgin human hair lace wigs during fall and winter seasons, with a few recommendations for keeping your Virgin Human hair units full of moister and luster. It well recommended to transit to a proper Winter hair care regimen. Utilizing moister rich hair care products filled with rich oils and vitamin B6 and vitamin E. Also what you intact (food), should also affect your appearance and overall functionality. Be wise to not avoid the same care for your natural growing hair no matter how thin or frail your own growing hair might be. Good Quality Hair is not cheap so one must take regular care using unprofessional Shampoos and conditioners as well other hair styling products , will greatly accelerates your human hair pieces drying out. Going back several post where it’s recommended to utilize proper hair products as the hairs are no longer retaining the natural oils from the body, thus leaving the potential of split ends and dehydration of your bundles , silk base closure , lace front wigs. Store Your Hair Extensions and Lace Wigs with Care: It is imperative for you to pursue a decent hair care routine with your hair pieces or lace wigs from the beginning . While putting away wigs or hair extensions , make a point to assemble them and brush out each of your units even though it can be painstaking at first, this will give your units and hair pieces longevity. Turn you lace wigs upside down and gradually work your direction upwards delicately brush the hairs. After brushing your hair pieces and lace wig units, delicately secure them in a pigtail then place them into a satin /silk pouch or the original plastic bag the hair pieces or lace wigs originally arrived in . While utilizing heat styling tools always opt to Using a small amount of heat-styling protectant hair products on hair extensions to reduce the risk of heat damage whenever you use a heat styling tools on your extensions . For a better outcome seek a professional hairdresser/hairstylist. Once a week, carefully put your extensions in lukewarm water and apply a bit of conditioner all over. Leave for around 20-30 minutes then rinse and let dry naturally – using a blow dryer will damage them if used too much. If necessary, put the dryer on a cool setting (almost as if it was wind) . As careful as you are, your human hair extensions will most likely get split ends over-time. To avoid letting the damage move up the hair shaft, trim the ends every 8-10 weeks. You can do it yourself using salon scissors, or go to a professional hairstylist (always a recommended approach). 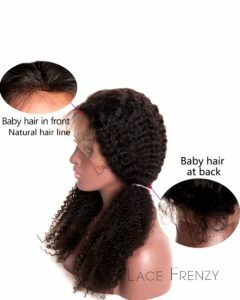 Winter seasons can be daunting in any human hair pieces or full lace wigs without the proper care regimen. With the increase in cold and dry air of the winter seasons keeping human hair pieces and wigs hydrated ( moisturized) will have you feeling confident and stylish all season long. 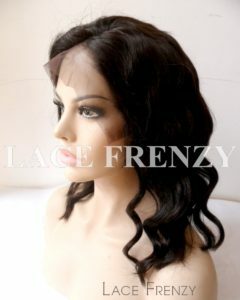 This entry was posted in 13x6 Lace Front Wigs, 360 Frontal Wigs, Bundle Wefts, Custom Celebrity Lace Wigs, Fall Hair Care Tips, Full Lace Wigs, Glueless lace wigs, Hair, Hair Care, Hair Extension Care, Hair Extensions, Heavy Density Lace Front Wigs, Human Hair Lace Front Wigs, Human Hair Wigs, Lace Front Wigs, Silk Top Full Lace Wigs, Weave Knowledge and tagged 360 frontal wigs, bundle hair extensions, Full Lace Wigs, Hair Extensions, Heavy Density Lace Front Wigs, lace wigs, Silk Top Full Lace Wigs, virgin human hair lace wigs.